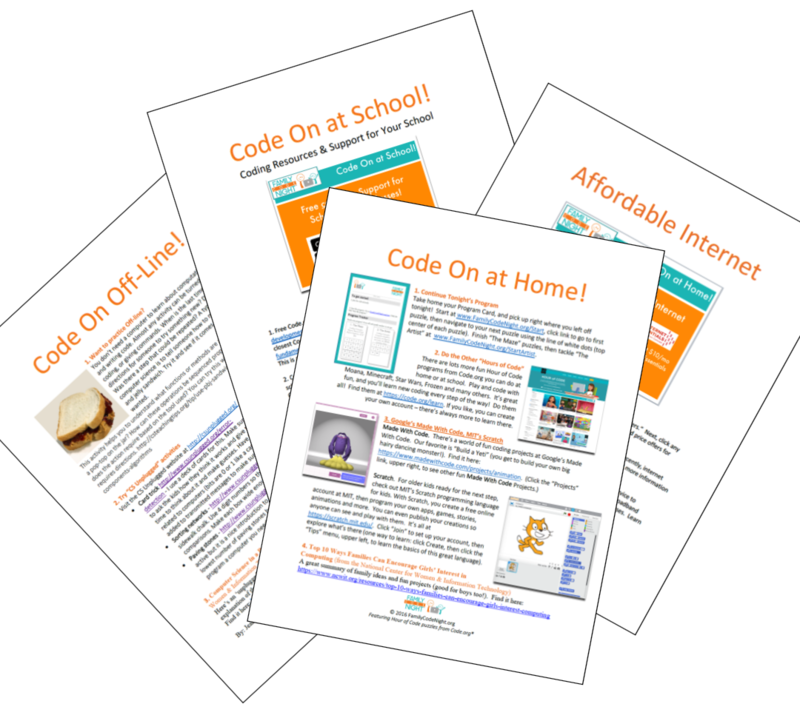 Enter your email below to receive all 4 Family Code Night Handouts, plus Parents' Kid Coding tips. Join us! "Family Code Night was ___!" Your friends can help bring Family Code Night to their school! Click the Social Sharing buttons at right to post to your social media (#familycodenight), and visit our "Download" page for the free Family Code Night Event Kit. Help FamilyCodeNight.org provide future programs like the one you did tonight. Family Code Night is a federally registered 501(c)3 non-profit. Please consider a tax-deductable donation to help bring future events to your school and others nationwide.